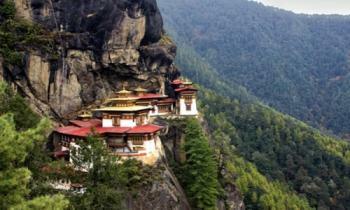 Arrive at Hasimara& transfer to Thimphu & night stay. 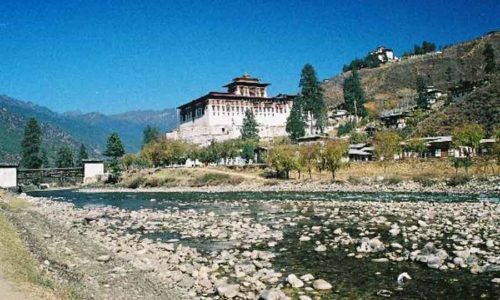 Thimphu full day sightseeing places like : Tashichho Dzong: Meaning “fortress of the glorious religion, National Memorial Chorten: This monument was built in 1974 in the memory of the late King Jigme Dorji Wangchuck, . Folk Heritage Museum & the Textile Museum: These museums, both of which opened in 2001, provide fascinating insights into Bhutanese material culture and way of life and is a ‘must see’ when in Thimphu, Beside all these here are so many places :Simtokha Dzong, National Library, Institute for Zorig Chusum, National Institute of Traditional Medicine, Changangkha Lhakhang, Dechen-phodrang, Wangdi-tse , and Night stay in Thimpu. 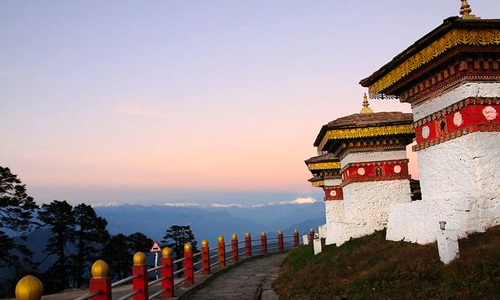 Paro lies in Western Bhutan at an elevation of 2280 m, full day sightseeing places like :Taktshang: or “Tiger’s Nest” is one of the most famous places to visit in Bhutan and one of the holiest sites in Bhutan, . Nya-mey Zam: or “the bridge with no fish” is the bridge that connects Paro town to the dzong, Drukgyel Dzong: “fortress of the victorious Drukpas” was built in 1649 to celebrate Bhutanese victory over the Tibetan invasions, Kila Gompa: It is a nunnery about an hour’s walk from Chele-la, down a path through pine forest.. The gompa is nestled in a craggy patch of rock, beside these there are many places like: Rinpung Dzong, Ta Dzong, Dungtse Lhankhang, Drukgyel Dzong, Kyichu Lhakhang and night stay in paro.